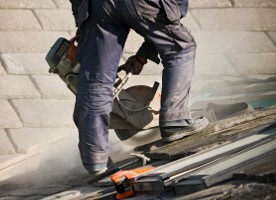 We're locally based roofers with over 25 years' experience in providing a wide range of affordable services, all undertaken to the highest standards of workmanship throughout Sheffield and the surrounding area. 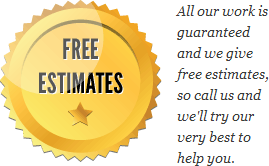 We aim to provide the ultimate in customer service, so offer free estimates, no-obligation visits to assess your needs, expertise in working with all types of roof and materials, and a full guarantee on all work. We realise each customer has different requirements depending on their roof type and construction materials. We're committed to providing a service tailored exactly to your needs, and are happy to come and visit you to assess your requirements properly. We enjoy a fine reputation throughout the area with many satisfied customers. Find out why by calling today. We're confident in the service we provide, but we want you to be confident that you've chosen the right roofers, so for peace of mind we provide a guarantee on all our work. For a team you can trust, call now and let's discuss your needs, on 0114 304 9030. Read about our servicesWe offer a wide range of roofing services in the area, from flat roofs to Yorkshire Stone roofs we’ve got it covered. Read about Velux window fittingRoof windows make a stunning addition to your loft conversion or extension, call us today to arrange a free estimate. View the suburbs we work inWe cover the whole of Sheffield, no matter what area you’re in, from Grenoside to Highlane, call us to discuss your needs!